Petronovela will forever be remembered as the dark ages of the San Miguel Beermen franchise. One disappointment after another, early elimination exits were the norm. It wasn’t exactly because of a roster that was lacking in talent. In fact, they had the kind of roster you would classify as a super team. Problem was, they were more 2012-2013 Los Angeles Lakers rather than 2016-2017 Golden State Warriors. The team had a talented core with MVP Arwind Santos, Crunchman Alex Cabagnot and #1 pick Junemar Fajardo. That kind of talent is built to win a championship. But talent isn’t enough, as the Petron Blaze Boosters taught us. You also need to mesh well as a group, and they couldn’t seem to do that under the carousel of coaches that they had during that run. Then came Coach Leo Austria. He made the team trust the system that they he had in place for them. It put Fajardo at the center of how they ran things, a challenge especially to the veterans of the team to accept. But six championships later, you can’t deny the level of success that system Coach Austria brought in to the team. From being a dysfunctional group, the San Miguel Beermen was viewed as an all-time team, probably even the greatest of all time. Memories of Petronovela were dead with each trophy the team received. There’s still one image that sticks in people’s minds anytime you talk about Petronovela. March 8, 2013, Renaldo Balkman grabbed Santos at the neck, inciting reactions of shock and disbelief around basketball fans in the country. We’ve literally never seen something like this before — a player grabbing his TEAMMATE’s neck. It was as bizarre as it was horrifying. 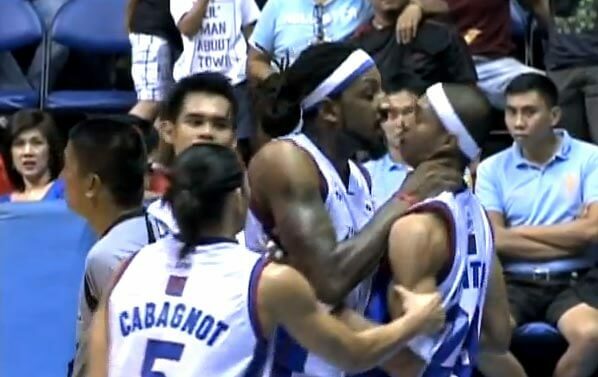 Since then, the name Renaldo Balkman has become synonymous to that image of a player choking his own teammate’s neck. Fast forward to 2018 and Balkman has a chance to shatter that image that’s been linked to him ever since 2013. The lifetime ban was lifted, and the same San Miguel Beermen franchise that he used to play for picked him up as a replacement for former import Troy Gillenwater. Similar core, same monster talent in Balkman. But this is a completely different context he’s going into unlike what he had in 2013. Back in 2013, the Blaze Boosters were a team that was trying to get over the hump and win a championship with the core that they had. They needed just that one ring to shut all the doubters up. There was pressure on everyone that was part of that team, coaches, locals and import alike. But there was a little bit more pressure on Balkman to be the savior of Petron. He did play with the likes of Carmelo Anthony and Allen Iverson after all. That’s completely different now. The coaching staff and the players have already figured things out for the most part. Other than having the Xs and Os and the role of each player down pat, the culture surrounding the team is terrific. There is accountability at all costs, and how Coach Leo has controlled how the team has handled things is beyond admirable. If the Blaze Boosters were the 2012-2013 Lakers, these Beermen were the 2016-2017 Warriors we hoped those Lakers to be. There’s less pressure on Balkman. He’s coming in to fill a role rather than be the leader of a team. On paper, he should be able to find his way with the Beermen, especially given how he truly is as a player. He’s a talented prospect, no doubt about it. But he’s better suited as a role player, someone who works off the ball and tries to get his points off his teammates as proved by his performance in the ASEAN Basketball League (ABL). Check out that clip again. Great pass, no doubt about it. But watch how much space Balkman gets before he makes the pass. That’s A LOT of space to shoot. He could have easily pulled up for the open three. Instead he remained patient and got his teammate a shot. Here’s another misconception that has to be squashed: Balkman being a lights out three-point shooter. During his last stint with the Blaze Boosters, he didn’t even attempt a single three-pointer despite averaging 25 points per game. 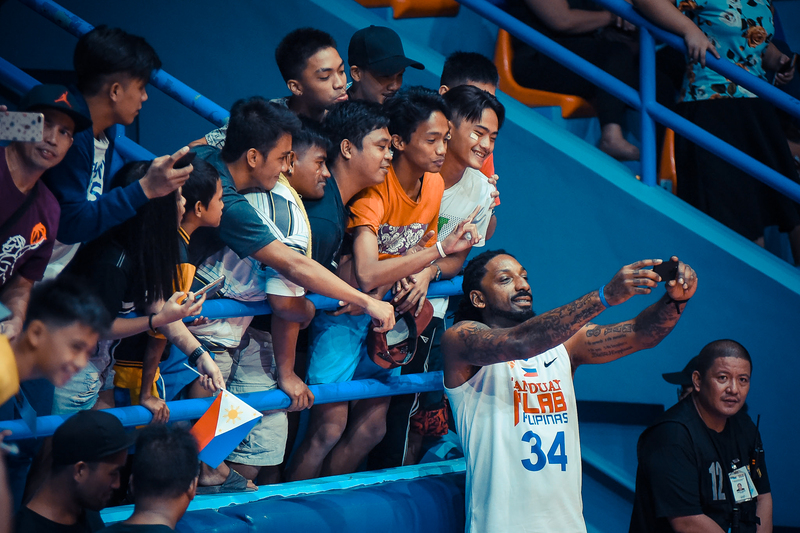 With Alab Pilipinas in the recently concluded ABL tournament, Balkman made 41.7% of his threes, but only off 0.8 makes per game during the regular season. He can shoot the occasional three, but the three-point shooting is better left to Marcio Lassiter. He makes up for his lack of three-point shooting by being money from the mid-range. It’s already been established that he loves to attack off pick and rolls. With one of the best Pick and Roll guards in the country in Cabagnot, he’s going to get chances to use such an attack. But he doesn’t just roll to the rim all the time. He’s a good mid-range shooter, someone who will likely force a switch anytime they run the two-man game. He may not have the same degree of three-point shooting that made Charles Rhodes such a great fit within the Beermen, but he’s probably a better talent. He makes up for his lack of range by being a consistent midrange threat and an intelligent passer. It’s those qualities that make it easy to believe that he could be a great fit with this Beermen squad. Ever since Standhardinger’s arrival, Coach Austria has tweaked his system to cater their top draft pick. Instead of pounding the ball to the Kraken all the time and working off that, the Beermen have been running more pick and rolls that are quick, and encourages the team to continue to move, pass, and to look for spots where they can get efficient attempts at the basket. Less post-ups, more pick and rolls. Balkman will like this. Just because the rotation is built like this, doesn’t mean these players will be stuck at these positions exclusively. That’s the beauty of having of having so much versatile players. You can mix up the positions they play and throw as much combinations as you want versus competition. Fajardo will exclusively play center, he’s too slow to play the four. But Standhardinger is skilled enough to play the four beside him. Santos did start at small forward versus Rain or Shine, so that is within the realm of possibility aside from playing as a Power Forward because of how versatile it is. With Balkman, it becomes even more fun. He’s naturally a power forward, but he has the skill set to play the small forward at times, while also having the size to play as a small ball center. You’re not giving up much on defense if you play him at any of the front court spots. He’s a more than capable defender, who averaged 2.2 steals per game paired with 1.9 blocks per game to earn him co-Defensive Player of the Year honors in the ABL. In terms of basketball fit, this Balkman-Beermen marriage should work. Give it a few games for it to mesh, but this should produce some good results from the get-go. Basketball has never been the issue with Balkman. He’s a terrific talent, and adding someone like that to an already stacked group of San Miguel will only do good things for the team. There’s fear that the last remnant of Petronovela rearing will rear it’s ugly head again. That’s natural given Balkman’s past with the team. But he’s coming into a totally different situation now. This is why it’s also Balkman’s last shot at making things right in the PBA. He was part one of the darkest times in the San Miguel Beermen’s storied franchise history. But coming into this team and helping them win gives him the chance to erase that dark memory from the minds of fans. He has the opportunity to recreate who Renaldo Balkman is in the PBA. He can prove to everyone he’s not just someone who fucked up and choked his teammates. He can be someone who bounced back, and helped his former team win another championship.